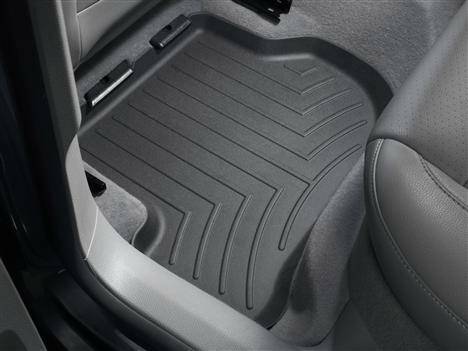 The WeatherTech® FloorLiner™DigitalFit® accurately and completely lines the interior carpet giving "absolute interior protection™"! Digital laser measurements of interior surfaces offer a consistently perfect fit! A patent pending High-Density Tri-Extruded (HDTE) material allows for a rigid core for strength while offering surface friction to the carpet, as well as tactile feel to the surface! Advanced surfacing creates channels that carry fluids and debris to a lower reservoir with further channeling to help minimize fluid movement while driving! 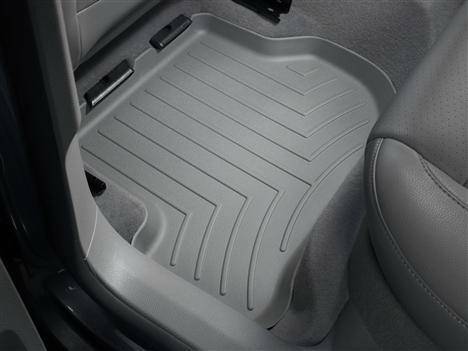 Once fluids become trapped in the reservoir, away from shoes and clothing, they are easily removed from the WeatherTech® FloorLiner™DigitalFit® over the door sill...no muss-no fuss! Rear FloorLiner™DigitalFit® incorporate many of the same design features as the front FloorLiner™ DigitalFit® Rear FloorLiner™DigitalFit® (where offered) are manufactured from a proprietary custom blended TPO (thermopolyolefin) that is not only wear resistant, but also remains flexible under temperature extremes. 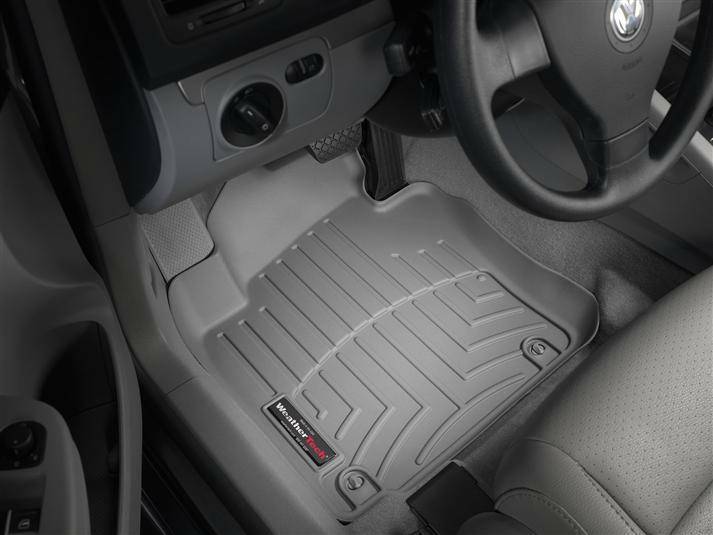 Rear FloorLiner™DigitalFit® are either one piece or two piece depending on the vehicle application. 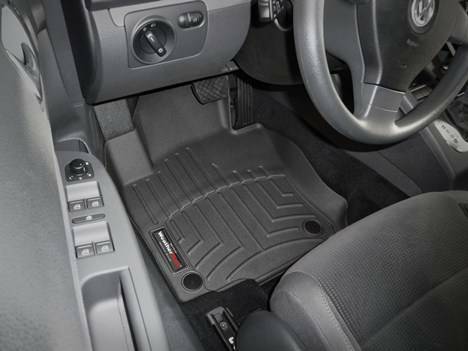 FloorLiner™ was designed for vehicles with factory carpet installed when manufactured. They will not fit vehicles with vinyl floors unless otherwise specified. 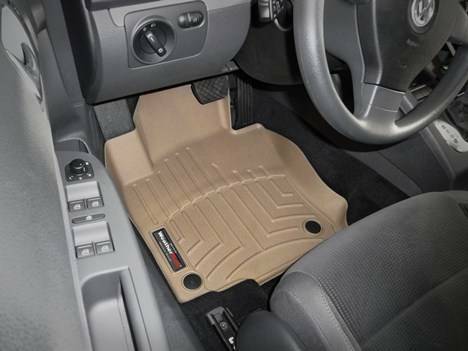 Please take your old floor mats out before installing your new WeatherTech® floor mats. Please refer to the above product pictures for whether your model has Round or Oval type floor mat retention device. In the quest for the most advanced concept in floor protection, the talented designers and engineers have worked tirelessly to develop the most advanced DigitalFit®floor protection available today! 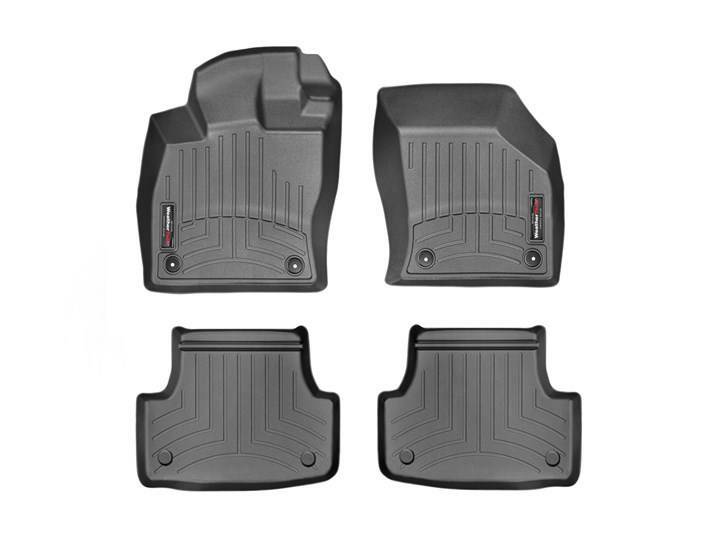 For more information on WeatherTech, please visit our WeatherTech Product Center. - Returns and exchanges will only be accepted within 30 days of purchase. - All items must be returned in a new, unused and ready-to-sell condition (including all original packaging, parts, and paperwork). Items not received in a ready-to-sell condition will incur a 10% restocking fee. 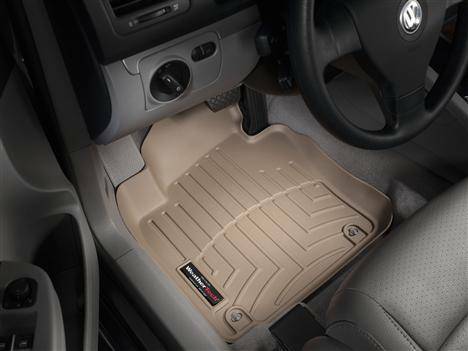 The WeatherTech® FloorLiner™ is guaranteed against faulty materials and workmanship for a period of three years from the date of purchase. Exclusions to this warranty are wear due to severe abrasive conditions and chemical contamination, such as spilled gasoline, bleach, etc. WeatherTech® believes in customer satisfaction. 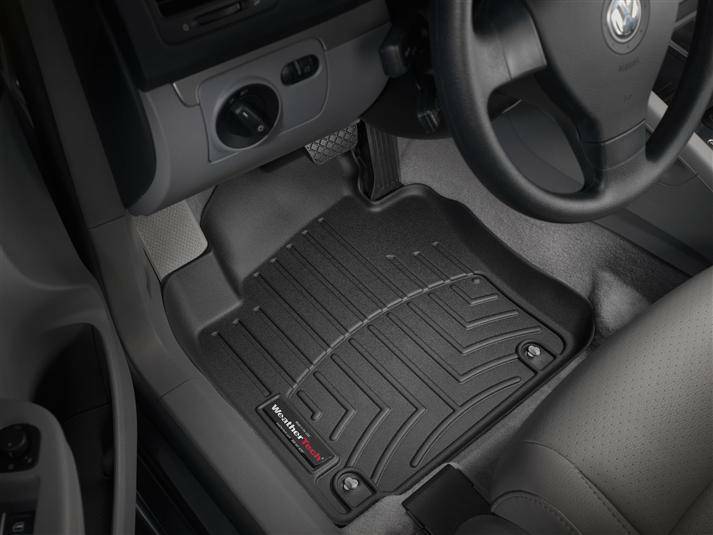 Depending on the situation, we will either replace your FloorLiner™ at no charge or charge you a prorated amount for a replacement.